The Bharatiya Janata Party (BJP) in poll-bound Meghalaya faced a major embarrassment after the Election Commission directed the state party unit to ‘immediately stop circulation’ of the ‘charge-sheet’ against Congress. The saffron brigade has published a ‘charge-sheet’ against the ruling Congress in the State ahead of Assembly elections slated for February 27. The same is being circulated widely across the State that details the alleged misrule of the Mukul Sangma led Congress government in the State. The 38-page charge sheet titled ’15 years of loot, 15 years of destruction’ was earlier released by Union Tourism Minister Alphons Joseph Kannanthanam in Shillong last week. 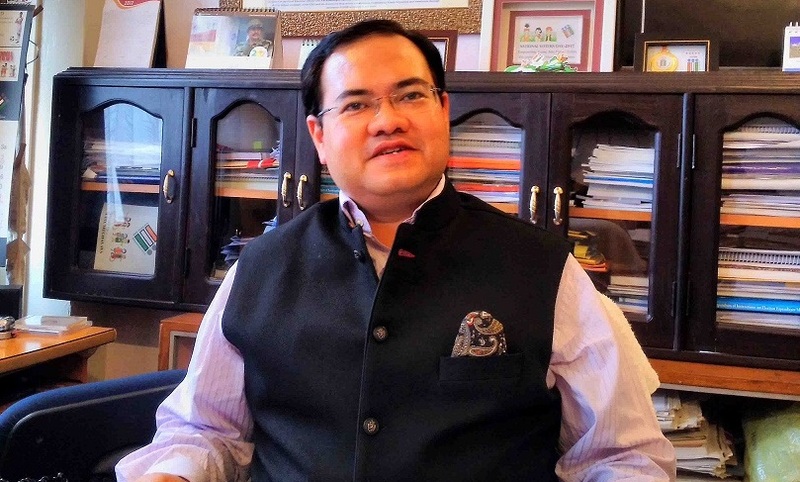 The Chief Electoral Officer, FR Kharkongor is learnt to have written to the State BJP president Shibun Lyngdoh complaining that the booklet appears to have been published by the BJP without apparently indicating the names and details of the printer, along with the name and detail of the publisher as per Election Commission guidelines. “Prima Facie, there appears to be a contravention of the provisions of Section 127 A (1) and (2) of the Representation of the People’s Act, 1951,” the letter mentioned. The CEO issued a letter on February 14 last and is believed to have written another letter to the BJP on Friday asking the party to show cause as why ‘action should not be initiated for violation of the provisions of the RP Act’.